Scoop: Kirstjen Nielsen actually resigned because of a mysterious Border Patrol/Secret Service mix-up at the border while Ivanka was visiting with her kids. A anonymous source within the Kushner household has just leaked to this reporter the real reason Kirstjen Nielsen was forced to resign. It appears that she had invited Ivanka to surreptitiously visit one of the entry points where mothers and children of asylum seekers were being separated. Ivanka decided that she would accept the invitation to be able to use the transportation expenses as official business, continuing the trip on to Disneyland with her three children. Husband Jared was unable to come along, because he was busy with a private course, Introduction to the History and Geography of the Middle East. Ivanka was unfazed, as, in any case, the children would be under the care of their nanny the entire time. When they arrived at the border station, Ivanka waved goodbye to the nanny and the children as she was whisked away in a limousine flanked by armed Border Patrol SUVs to tour the border checkpoints and view the lines of asylum seekers. 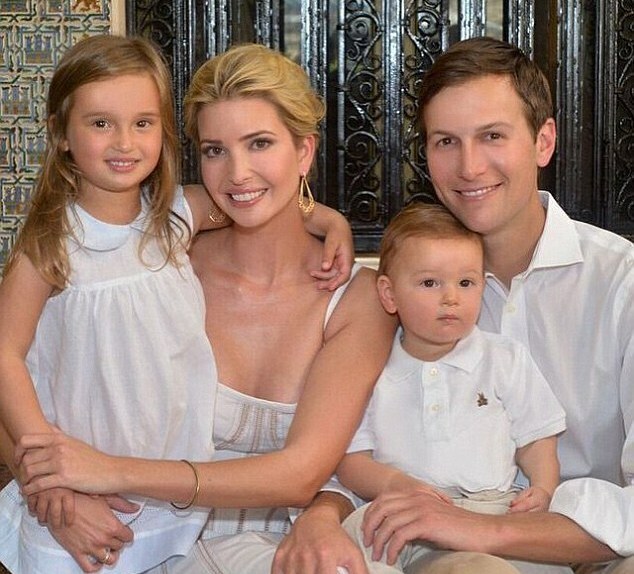 When Ivanka returned to rejoin her children, neither the children nor the nanny could be found. A panicked Ivanka began yelling that they had been kidnapped for ransom. Since the nanny was also missing, she immediately became suspect. “Where was the Secret Service?” she screamed over and over again. The Secret Service agents were found standing outside a checkpost in an intense argument with the border officials manning the post. It seems that the children had become extremely restless waiting in a room for their mother, so the nanny decided to take them for a walk in hopes of tiring them out so they would take a nap. The nanny and the children walked through the checkpost along with other mothers and children who were ushered through, but the Secret Service agents were stopped as adult males other than Border Patrol were not allowed into the area. In the midst of the argument between the Secret Service agents and the Border Patrol agents, the nanny and the children became lost in the crowd of crying children and mothers. By the time the Secret Service was allowed to enter and search, because of her complexion and dark hair, the nanny had been identified as a Central American attempting illegal entry with her three children. The Border Patrol agents dismissed her identification as forgeries, handcuffed her, and took the three children to a temporary holding cell enclosed by wire fencing. Fortunately for all involved, the Secret Service agents were able to rescue the children and the nanny in about an hour.